Need to know how to download all my contacts onto my vehicle device - Bluetooth. K, please remember to close the service request with closure code and resolution . We don’t want a repeat of last time..
Go to Bluetooth setup & add a new device; make sure the phone shows car multimedia (might be different for the other vehicles) make sure the passcode on the phone & the stereo blues is the same & your phone would ask for something as to messages; but your phone should be paired as to contacts & music;if you’re already paired go back to Bluetooth setup but go to paired list & if your phone is on it make sure your phone is connected to the Bluetooth. I bought wireless Sony headphones about two weeks ago and have been frustrated that they just wouldn’t pair with my MacBook Pro. Searched the internet to find a solution. Nothing. Until I found this site. Tip # 10, moving it away from the USB port did the trick!!!! Thank you so much for this!!! Do it work when i downloading something? I have an HP wireless printer/scanner/fax that stopped working. The troubleshooter says that the wireless radio is not working. The printer works just fine when it is plugged into my computer via USB cord. Is it possible that is became unpaired with my computer?? How do I check? Any other suggestions?? It seems so wasteful to have to replace an otherwise perfect printer…it’s only 3 years old!! That sounds like a WiFi issue, rather than Bluetooth, and I would really need to know more about why it’s not working. Can you not turn on the printer’s WiFi? Does it turn but not see your WiFi network? Does it connect to your WiFi network but your computer can’t see it? If it is similar to my HP printer, there is a “Wireless Setup Wizard” in the Network setup menu that may help you get reconnected if it’s only an issue with your network settings. Had trouble getting my replacement iPhone5s (camera packed up!) to re-connect with my Avantalk handsfree. Your tip to ‘forget device’ and then re-find it worked! You think a god would care about bluetoothing a phone? Wow! Your god sounds more like a servant. 2nd: Do another set-up for Wi-Fi, enter your password right off the printer screen (if it has one, my all-in-one does) & you’ll need to enter your router’s password. You should be good after that. If not, keep reading…. 3rd: Does your printer have a Push Set-Up (small hole-like a reset button-to use with a pen or paper clip end to push-printer may need to be near your router during this time). 4th: Do you have a PIN Set-Up where the PIN# is on a label/sticker on your printer (check back or bottom) or the manual it came with. 5th: Go to HP’s website for a “manual” to download and use the instructions. This manual should be a PDF..SAVE IT! For future reference. If NONE of those work, restart your router (and modem, if you have one). Unplug it, EVERYTHING-Just like you are setting up your router for the FIRST time. Once you’ve done that then follow the steps above. My Brother Laser Printer is awesome & you have LIFETIME support. They emailed me the instructions to connect to my Wi-Fi, with & w/o USB port; I can disconnect from USB port once it’s connected to my router. He likes to disconnect from my Wi-Fi (router) if he’s unplugged for too long (moving, etc), if I changed my router password, using a different/new router, or if he’s wanting to be stubborn. He (printer) has done this 5 times out of the TEN or ELEVEN years (one time b/c he was stubborn, valid reasons for the others-examples I mentioned above). It isn’t that bad considering I have the instructions plus the LIFETIME support. Yes, I’m a Brother fan for that reason alone…. I don’t have the all-in-one b/c I was in a hurry and didn’t have a big selection. My Cannon All-in-One Printer is awesome and quicker to connect because I can do a Set-Up on the printer’s screen where I enter the router’s password. Otherwise, I have to use #3 & #4 to connect. Never had to, though. I hope I didn’t ramble too much and made sense on the suggestions…. If you haven’t already done it, try uninstalling and reinstalling the printer. The device removed keeps trying to connect another words circle goes round & round but activity tracker is gone-sent back. 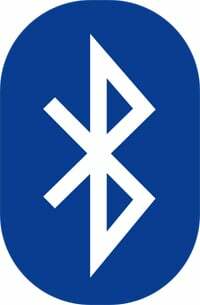 Can Bluetooth be reset? iPhone has been turned off & on. Can’t use the Bluetooth all day to get messages because it runs the battery down. New wristband is set up & works ok under same app HBand. Help. I’ve recently purchase a Pioneer Car Stereo DEH-X4650BT and I was able to pair the Bluetooth with my iPhone4 easily and use the handsfree but am unable to pair it using my iPhone 5s. Any suggestions? Have tried doing it with and without the USB cable. The phone recognises the stereo but it is unable to pair. If your tablet doesn’t come with built-in Bluetooth (and it looks like most, if not all, of the Nextbook tablets do not), there’s no way to add it. Someone may have an external bluetooth USB adapter for Android (does your tablet have a USB port? ), but I’m having trouble finding one. If you do find one, buy it from someplece you can return it, because I’m guessing there’s a good chance it won’t work consistently or at all. My blurtooth in my Nissan Altima, 2015, was working for the last yr. & all of a sudden it quit working. I went to use it the other day & it came on saying searching for phone; it came back on saying “no search found”; HELP!!!!!!!!!!!!!!!! Were you able to get help? After 4 yrs of working perfectly and 1 yr with my current phone, it suddenly doesn’t recognize any phone. At want come on my phone. Bluetooth adapters are available for 3.5mm headset audio ports on mobile devices. I got one for my husband’s old iPod nano which was not bluetooth enabled so that he could workout using bluetooth headsets rather than have all the hanging cords. They have come way down in price and there may be even more options available now. They simply plug into the headphone jack and voila, connect your bluetooth speaker/headset and go. had klipsch kmc3 speaker and it has been working perfect,but all of a sudden the bluetooth stop working ,cant pair with it any longer . I have a Dual Sim fone Samsumg GT-C 3752, that I pair ro my car’s stereo Medianav. Most of the times I’m able to pair them, but the connection will sometime break, might take a few or several minutes. With my girfriend’s Nokia phone connection with Medianav never breaks… So I then know that it’s everything OK with the car’s stereo. I av a similar problem my phone Huawei Y-210 pairs BT does not connect which means i cannot receive or send files. Try to delete all the peir on ya device,,if not then you can go in play media and stall a new BT,the software either hardware of your Bluetooth its too wik. Samsung Galaxy Core won’t play when connected to Bose Soundlink mini, Phone states: “Connected” but the player stays at 00:00 seconds and don’t play at all. any advice? Do I need to DL new drivers? 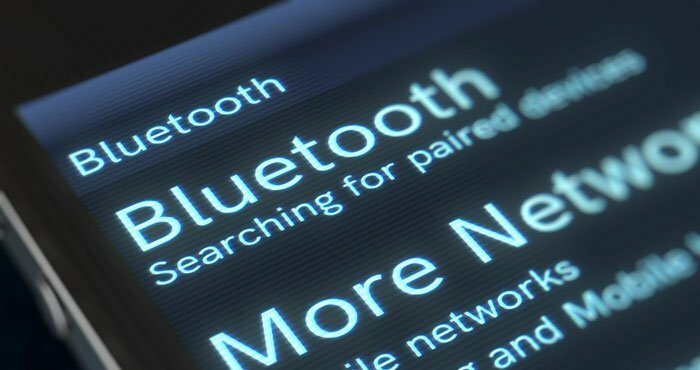 If it’s connected, it’s not a Bluetooth profile problem. Is the Soundlink connected to any other device? If so, make sure it’s disconnected. If not, I’d “forget” the Soundlink on your Core and then repair with the SoundLink. yes it’s connected says the Core but the player wont move forward it’s as if its on PAUSE, I tried to connect to my Onkyo receiver with bluetooth its just the same thing. I turned off every other bluetooth around, as you see my iphone, sony ericsson and the galaxy tab and samsung dous worked well with both Onkyo Receiver and the Bose speaker. It could only be the Core’s problem, I tried googlin around and I found out that core has vers.4 bluetooth while the others has Vers.3 could this be the answer to all of these? 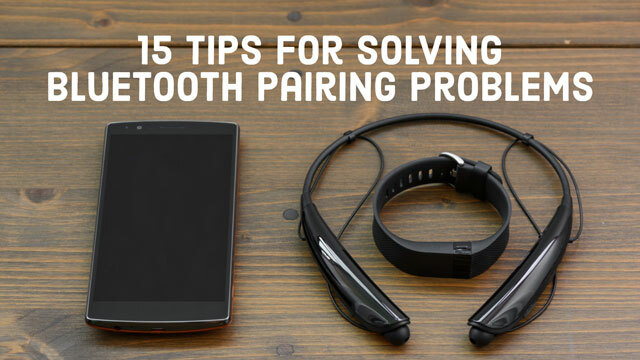 Bluetooth 4 vs. Bluetooth 3 isn’t the issue. What app are you using to play audio and is it the same app you’re using on your other Bluetooth devices? My wife and I each have bluetooth headsets in our motorcycle helmets and want to connect to a Samsung tablet to listen to music as well as for use as an intercom. The instructions say only one can connect at a time. Is there any way around this? I know that there are speakers that can simultaneously pair to a device. That type of support, though, is something that the speaker manufacturer implements. So in your case, the helmet manufacturer would have to implement it. If you haven’t asked the helmet manufacturer already, that would be my first step. Bluetooth and phone sporadically connect in car. When it connects I can hear person calling. However they cannot hear me. I recently bought a Razr M phone and it won’t sync with my Sony BT Mex 3100 car stereo. Have you heard of any problems between the two syncing? How would you know if it would work? have u tryed it yet?